For a vegan diet, it is important to incorporate enough fiber, vitamins, and protein to keep you full and energized. 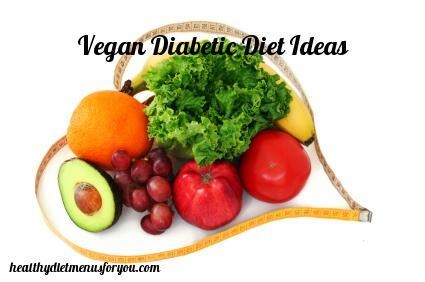 For a vegan diabetic, a diet plan requires even more attention to detail to keep blood glucose levels where they should be. No matter what kind of diet plan you follow, breakfast is the most important meal of the day. Especially for diabetics, eating a healthy balanced breakfast is how you start the day with enough energy and get blood sugar levels on track. For vegan diabetics following an 1800 calorie a day diet, start your day with fiber rich whole grains and fresh fruit to fill you up and boost your energy levels. Especially when you are out on the go or at work, lunch is often the hardest meal to follow on a diet plan. Instead of relying on yourself to find the right foods in a pinch, pack a lunch to bring with you every day. Dinnertime is often the largest meal of the day. Not only is it the finish to a long, hard day, but it is also the meal that keeps your blood sugar levels maintained throughout the night while you are sleeping. Snacks are important. The right snacks can not only help keep you full and energized during the day, but also help maintain blood sugar levels. Snacks are usually eaten three times per day, between meals, and should be roughly 100 calories. • Two tablespoons of hummus with your choice of raw veggies or a handful of pretzels. • A small handful of raw almonds (about 15 almonds). • Two cups of air-popped popcorn with one tablespoon of nutritional yeast (tastes cheesy). • A serving of kale chips or other baked vegetable chips. • One tablespoon of all natural peanut butter on celery. For more snack ideas click here.